The Battle Pass for “Fortnite” season 8 is expected to drop next month. Since the next leg of Battle Pass challenges is expected to be available in springtime, it is expected that the limited-time cosmetics rewards are designed to fit the seasonal theme. At the moment, game developer Epic Games has not yet announced a specific release date for the “Fortnite” season 8 Battle Pass. But based on the previous seasons, players may speculate around which time it will arrive. On the other hand, another gaming publication suggests a much earlier start of “Fortnite” season 8. PC Gamer notes that Season 7 Week 10 challenges are slated to drop on Feb. 7 and it is presumably the final installment. Epic Games might call for a week of breather also to allow players to complete the final challenges. If that happens, the springtime rewards and new contents could possibly be announced on Feb. 14. However, note that these dates are mere speculations for now. It is best to wait for Epic Games’ official announcements usually posted on their social media platforms. Once Epic Games confirms the schedule for "Fortnite" season 8, they will likely update the Battle Pass home screen to include the usual countdown timer. 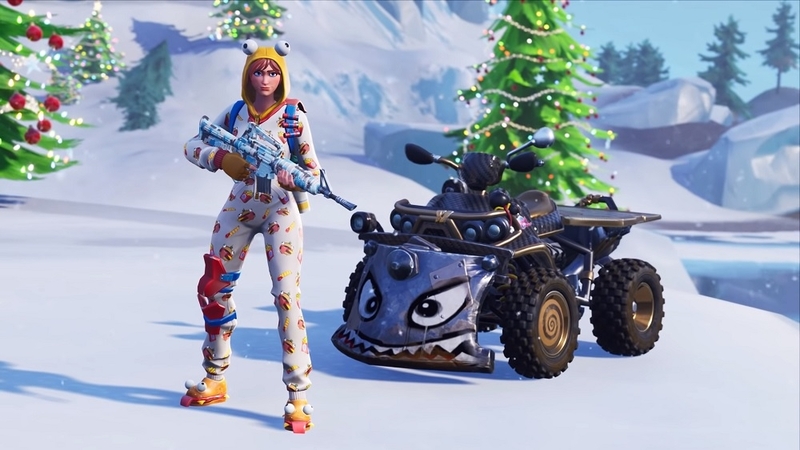 Some of the common rewards for completing challenges with Battle Passes are limited-time and exclusive cosmetics options such as new skins. Considering “Fortnite” season 8 would drop in the springtime, it is speculated to include costumes designed after water species. And if Epic Games decides to go heavy on the aquatic theme for “Fortnite” season 8, the next challenges and Battle Pass are also expected to introduce new maps situated in deep water environments. While the game is already well into season 7, players can still join the challenges and spend around $10 equivalent to 950 V-Bucks to get the Battle Pass.